Calculate Size of D.G Synchronous Panel. Calculate Total Fault Current of D.G Synchronous Panel. Total Equivalent Impedance of D.G Synchronous Panel. Calculate Short Circuit Current of D.G Synchronous Panel. Comparison of Transformer No Load Losses. Comparison of Transformer Load Losses. 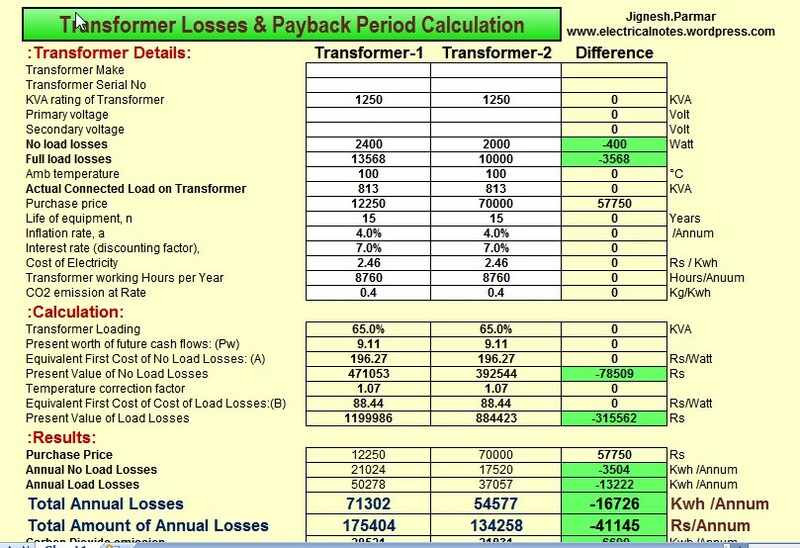 Comparison of Transformer Annual Amount of Losses. Comparison of Transformer Carbon Dioxide emission rate. Calculate Total Owning Cost (TOC) of Transformer. Calculate Annual Rate of Returns.